To Cite: Research Center H P. Health Policy Research Center at Shiraz University of Medical Sciences: A Tribute to Dr. Aaron Shirley, Shiraz E-Med J. 2015 ; 16(1):e26306. doi: 10.17795/semj26306. Health Policy Research Center expresses its condolences to Dr. Aaron Shirley’s family. 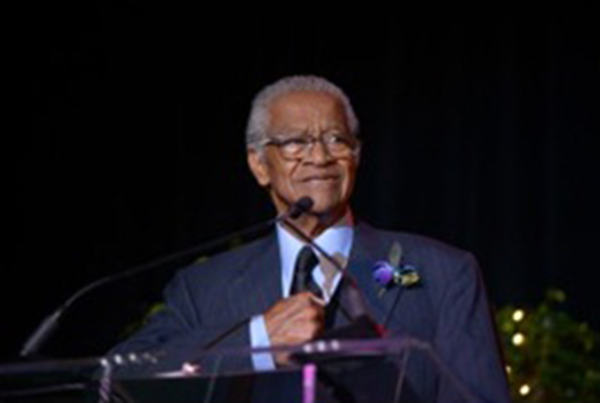 Dr. Shirley, Chairman of the Board for the Jackson Medical Mall Foundation, succumbed on Tuesday, November 26, 2014, at Jackson hospital. Dr. Aaron Shirley was a nationally recognized civil rights pioneer and a tireless advocate of rural and urban healthcare in Mississippi, USA. His legacy is reflected as a philanthropist, educator, and mentor. The Jackson Medical Mall was a vision, transformed into reality, by Dr. Shirley. An ailing retail center was converted into a modern medical complex, providing medical care and human services to the disadvantaged. Dr. Shirley was extremely committed to Jackson State University (JSU), in particular, the College of Public Service (CPS). The College is housed in the Aaron Shirley Public Health Complex at the Jackson Medical Mall. Dr. Shirley served on the CPS’s Council of Advisors. Under his leadership, an endowed chair for School of Health Sciences was established in his name by the Jackson Medical Mall Foundation. In search for a model that would deal with health disparities in rural Mississippi and sponsored by Shiraz University of Medical Sciences (SUMS), Dr. Shirley visited Shiraz in May 2009. 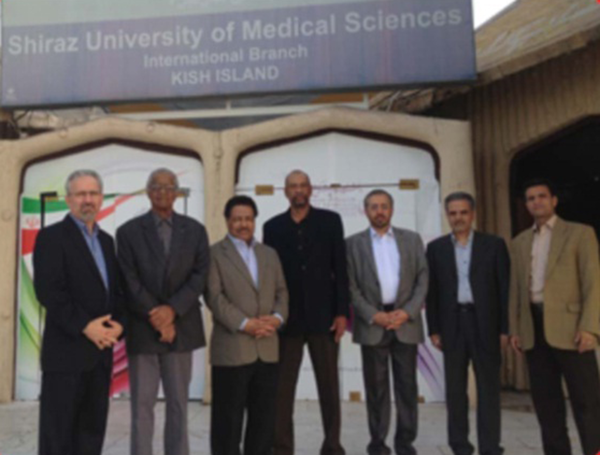 Upon observing Iran’s success on eliminating health disparity in general and for the rural population in particular, Dr. Shirley, representing JMM, and JSU signed a Memorandum of Understanding (MOU) with the SUMS Officials. A number of JMM, JSU and SUMS delegates visited and revisited Iran and the United States following that. 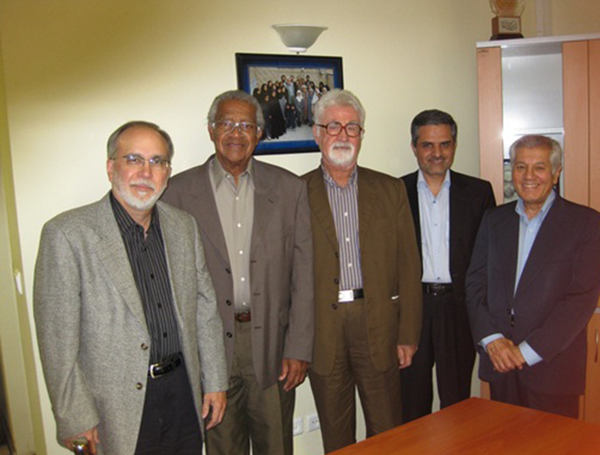 Iranian delegates including Dr. Joulaei, Dr Malekafzali, and Dr. Shadpour accompanied by several staff visited Jackson, Mississippi, USA, in late March 2011. Over the following weeks, this team assessed, planned and designed a community health worker training curriculum for JSU. 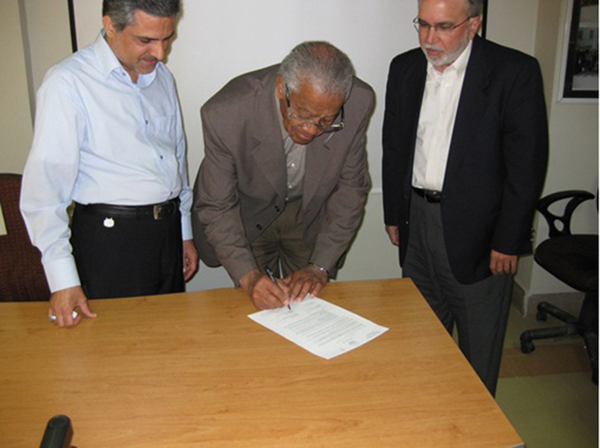 Upon the establishment of SUMS’ Health Policy Research Center (HPRC) under supervision of Professor Lankarani, Iran’s former Minister of Health and Medical Education, the responsibilities of the said MOU was assigned to HPRC and Dr. Joulaei served as the coordinator of the MOU-related activities. Following the training curriculum design for community health worker, HPRC sponsored two community health worker training sessions; one in Shiraz and the other on Kish Island. Upon the return of these trainees, Dr. Shirley and Dr. Shahbazi (representing JSU), applying Iran’s community health worker concept, were able to document a 15% reduction in the patient hospital re-admission through a project titled the HealthNet. The local, national, and international media focused on these pertinent activities. The New York Times Magazine featured the project explaining how Mississippians and indeed the USA healthcare system can benefit from the innovated venture undertaken by Dr. Shirley and the Iranians. Based on the said joined endeavors and accomplishments, most recently Dr. Shirley served as Co-Investigator on a pilot research project with Dr. Shahbazi. The title of the project is The Community Health House and Health Worker (C3HW) Model: A Novel Intervention for Reducing Health Care Costs and Addressing Health Disparities. This project is funded by the Centers for Medicare and Medicaid, a US federal government unit serving the low socioeconomic as well as the elderly (65 years and above) populations. Dr. Shirley was a true visionary who contributed mightily to the aspirations of what this project would mean to the underserved community in Mississippi. Despite Dr. Shirley’s untimely departure, SUMS and within it HPRC will continue his legacy by providing logistic supports to JMM and JSU with the hope to serve the underserved population in Mississippi and beyond. Dr. Shirley’s life was dedicated to helping the disadvantaged and underserved populations, as well as those in need. He will truly be missed by many. His legacy will serve as an exemplary model for our faculty, staff and students at HPRC and Shiraz University of Medical Sciences (Figures 1, 2, 3 and 4).